Day 1. 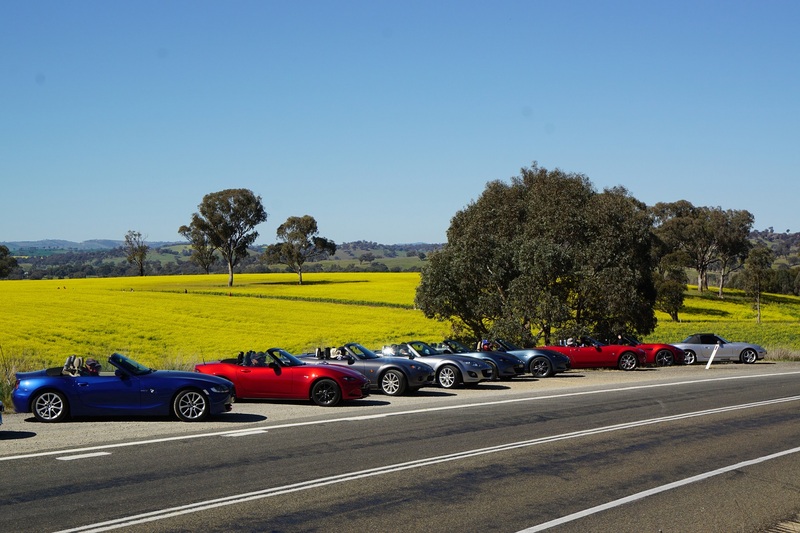 What a start to the day - I took a swan dive in the twin servo’s carpark and made everyone aware the MX-5 club had arrived for breakfast! 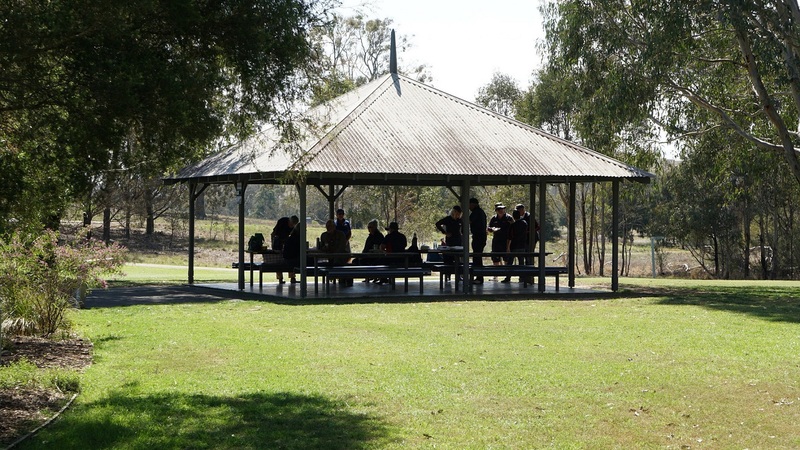 We headed off south (along with all the holiday traffic) to the Hawkesbury rest stop and our second meeting point. 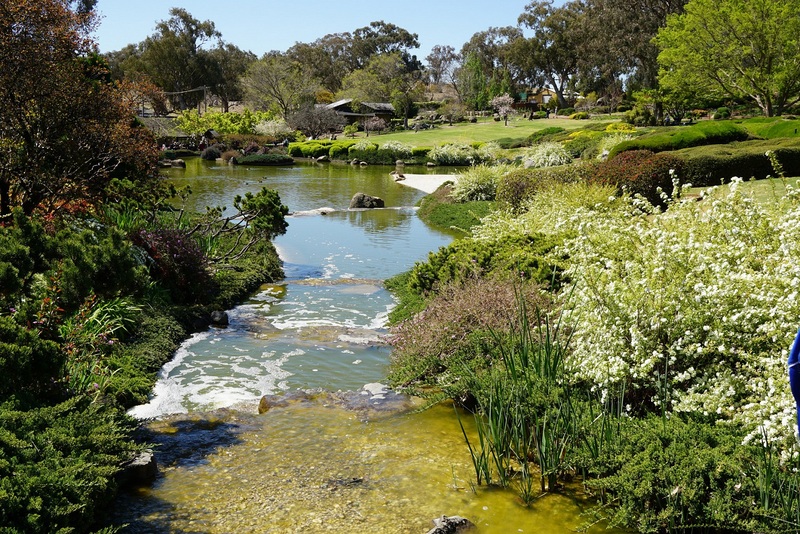 For our Cuppa and Cake, it was onto the Australian Botanical Gardens at Mount Annan and waiting to join our run, the wonderful Hunterwarra club couple Kim and Peter. Leaving the highway, we travelled though the historic towns of Camden and Picton with Rob Emmett telling us some wonderful stories of their past. Then up old Razorback Rd with its fun twists and turns, and the wonderful view from the top - what a buzz! We arrived at Moss Vale for lunch at Bernie’s Burgers. It’s a great little retro dinner with a big history, great food and a friendly owner. Before hitting the road, we paused for a group photo with the beautiful tulips in the park, whetting our appetite for next years’ Bowral festival. 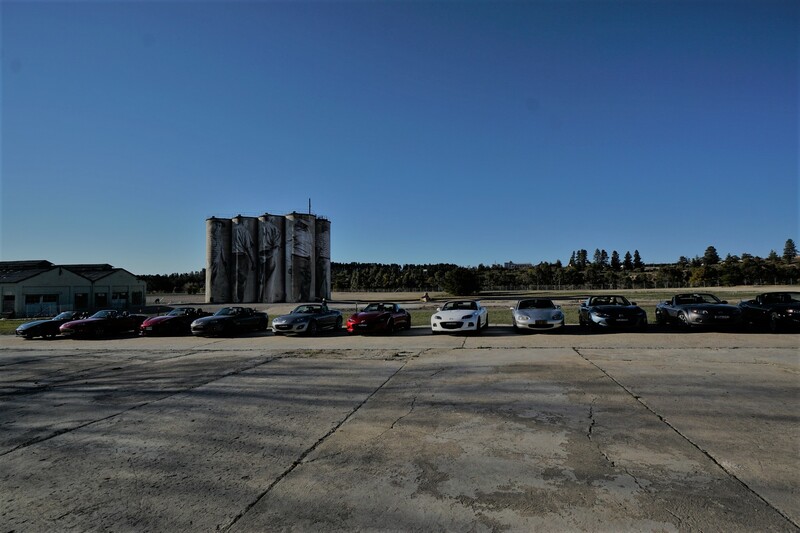 We headed for Goulburn then turned past Wakefield Park and on to Bungendore for our next break. Then a lovely scenic run in to Queanbeyan and the Golden Age Motel. We found Mark, Lynda, Wendy and Steve all set up ready for us to party. A short stroll took us to the Queanbeyan League’s Club for a lovely dinner. Day 2. Our day started with a short drive to the Australian War Memorial to journey through the halls of our heroes and the stories of the tragedies of war. We especially enjoyed the wonderful light and sound display of Lancaster bomber G for George in a battle over Berlin. After lunch at the museum we headed for Boorowa, stopping for afternoon tea at the quirky ‘Pantry on Pudman’, a unique little antique coffee shop. Arriving at the Cowra Information Centre we met up with the last members of our run group to watch the cleverly presented holographic story of the Cowra break out. The two lovely owners met us at the driveway entrance of the Sovereign Inn with the keys to our rooms. After happy hour in their garden courtyard we headed to dinner at the Cowra RSL. Local lamb was the order of the day - lamb cutlets yum yum! Day 3. 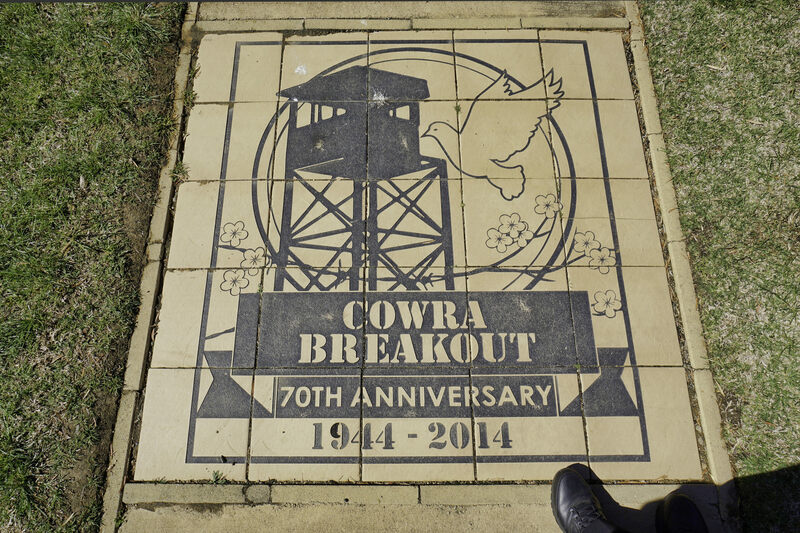 Next morning, we made our way to the Cowra Breakout site. 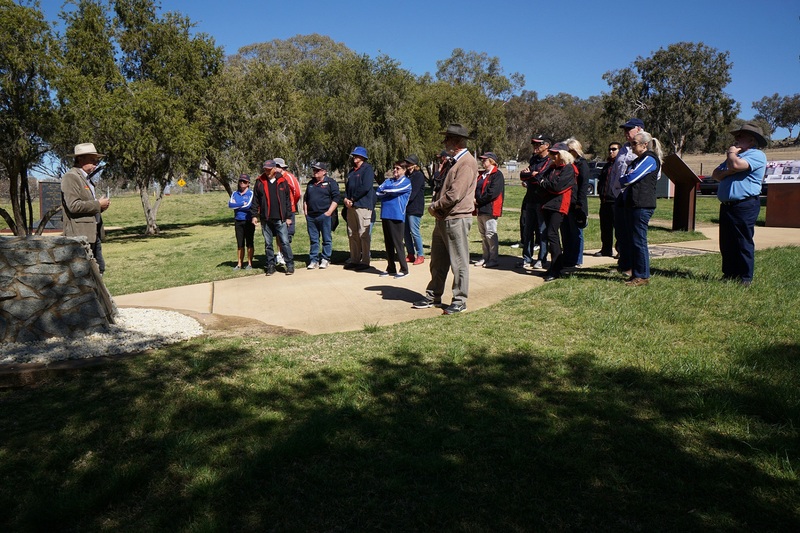 Mark Gray had organised for Cowra Breakout Society guide Lawrance Ryan to come and recount the history of the breakout followed by a tour of the both the camp site and the War Cemeteries. His tour and commentary were outstanding and I recommend seeking him out if you visit Cowra. Big thank you to Mark. After a delicious lunch at the Japanese Gardens café, many of the group took the opportunity to stroll through the gardens. What a beautiful place, seen at its best in the glorious sunshine. We then headed on to Bathurst and a quick coffee break at the Lions Park. Some lovely windy roads brought us to the towering painted silos of Portland. Wow what a wonderful sight - actual Aussie farmers depicted on these towering silos. We rolled up to the Bowen Inn at Lithgow a little late but there is always time for a carpark party. Dinner at the motel’s restaurant was magnificent with the rugby league grand final (go the Roosters!) providing entertainment for the rest of the evening. Day 4. This being the final leg of our journey, we followed old faithful Bells Line of Road through Kurrajong to Windsor for morning tea at McDonalds McGrath Hill. Our group said their goodbyes here before heading home by varying routes. Wisemans Ferry appealed for many as the best route to avoid long-weekend traffic. This brought the added bonus of a refreshing ice cream while waiting for the ferry. 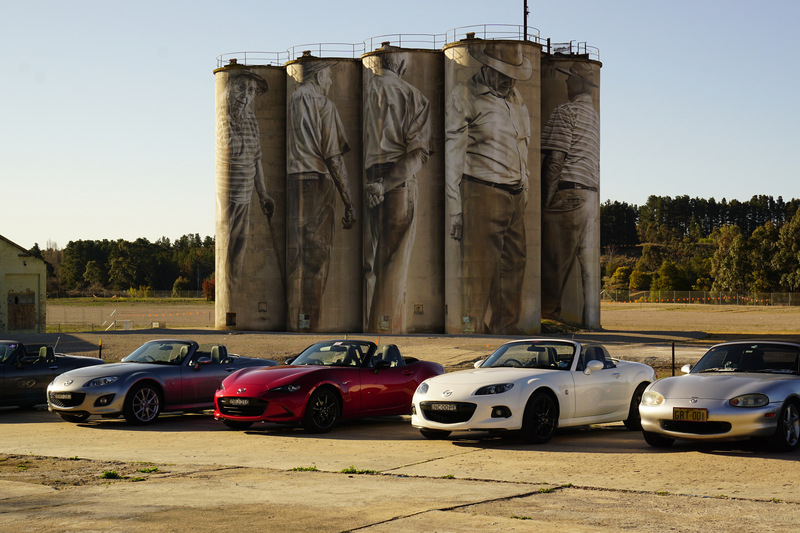 Many thanks to everyone for coming and your contribution in making this an awesome MX-5 weekend.